Understanding the process to ensure every client's goals are met. Always have passion for our client's interests and never settle for "good enough". Be honest and trustworthy and never lose sight of our company values. Being the best we can be in all that we do and treat everyone with respect. 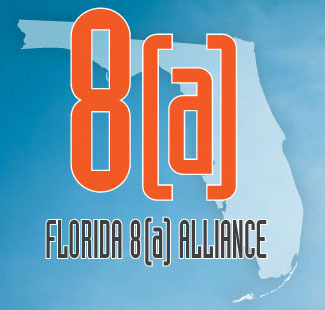 ParsCo is proud to be a member of the Florida 8(a) Alliance. The Florida 8(a) Alliance is recognized as a 501(3)(c) non profit organization. Our mission is to strengthen, train, educate and promote other 8(a) businesses in the state of Florida. For membership details, view the membership flyer. * Two decades of Construction Experience. * Over Two Billion Dollars of experience in the successful management of commercial, residential, and government Construction – both new and renovation projects. * State Certified General Contractor in state of Florida and 13 other states. Tell us about a business success you have had. Completing a Design-Build project for the U.S. Dept of Commerce at the National Oceanic and Atmospheric Administration (NOAA), National Ocean Service (NOS), Gulf of Mexico Disaster Response Center (DRC) in Mobile Alabama. ParsCo proposed an innovation design approach at one-half the price of more conventional solutions. We completed the project most satisfactorily in record time receiving the highest praise from the Chief Contracting Officer. Explain a pitfall you have experienced and lessons learned as a result. Finding the right people to create our team has been based on trial and error. Now more than ever we are focused on good hiring practices. A company is only as strong as the people it employs. You might expect a construction firm to say our most valuable assets are bulldozers, backhoes, or cranes. But people make ParsCo who we are and our people are exceptional. ParsCo hires and retains the best people in the industry by providing a challenging work environment and superior compensation. This commitment to our people ensures that ParsCo can provide our clients with the consistent, superior service they expect and deserve. What are the next steps for your business? How can the Florida 8(a) Alliance and/or other members help? We are focused on working with the Federal Government Sector. We hope that the 8(a) Alliance can assist us in the process and are open to working with other companies that may be interested in teaming or hiring us as a subcontractor as we build our past-performance. All Rights Reserved © 2019. Site Designed By: CYber SYtes, Inc. Orchestrating the Web.